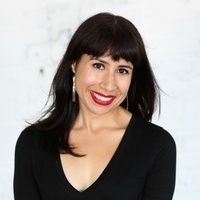 In this presentation, Sánchez will read from her debut young adult novel, I Am Not Your Perfect Mexican Daughter, a New York Times Bestseller and National Book Award Finalist, and her critically-acclaimed debut poetry collection, Lessons on Expulsion. Hello I am very interested in attending but am not a DePaul student. Will that be an issue or is the event open to the public? Thank you.